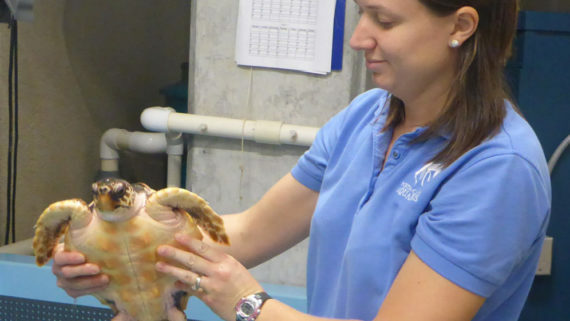 This week we are interviewing one of our staff, Lindsey, who has the awesome job of taking pictures of our animals at the Aquarium, including sea turtles. 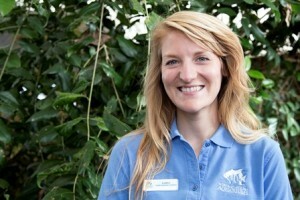 What is your job title and description at the N.C. Aquarium at Fort Fisher? I am the Public Relations Assistant. My main duty is running the Aquarium’s social media accounts, which requires a lot of content creation via photography, video and graphic design. I also design advertisements, flyers, brochures and other graphic media, as well as maintain the website. What experience led you to the Fort Fisher Aquarium? My degrees are in Journalism and Studio Art. I have worked as a photojournalist at a newspaper, a photographer’s assistant and at local film production company prior to working at the Aquarium. I began at Fort Fisher as a volunteer in the Exhibits department creating graphics, and was hired as the PR Assistant a few months later. 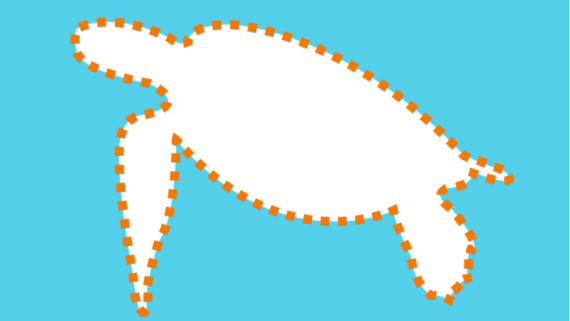 How does your work involve sea turtles? 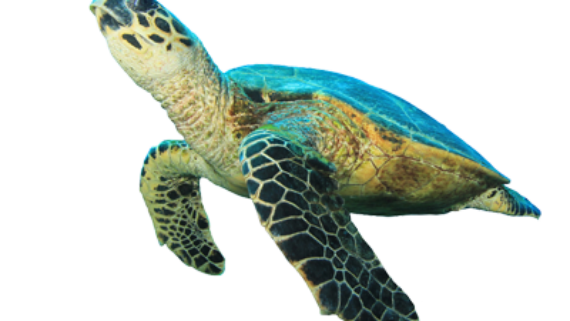 If there is one thing we know our social followers love, it’s turtles! 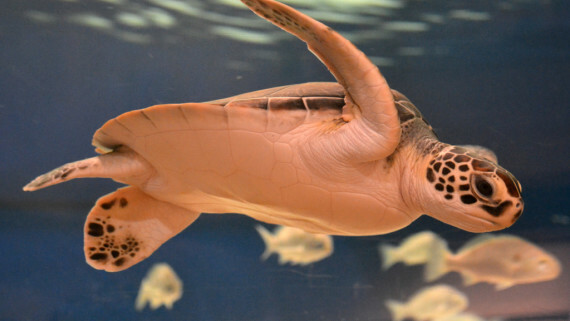 Our fans enjoy photos and videos of all the Aquarium’s different species of turtles. Not only are they cute, but they can inspire, educate and inform our audiences about ocean issues such as plastic consumption, clean beaches and pollution. What are some of your favorite animals to take pictures of? I enjoy the challenge of photographing sharks and sea turtles because they each require a lot of patience – it makes it that much more worthwhile when you make a really great image. 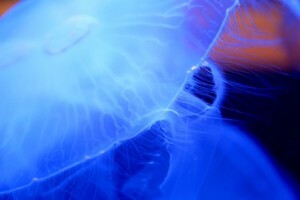 I also enjoy photographing the moon jellies because they make for such unique images, combining my love for art and science. 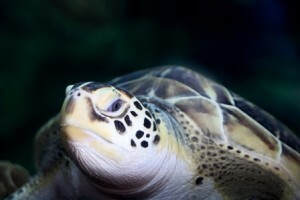 Is taking photos of sea turtles difficult, especially when on exhibit? It certainly can be! The biggest skill needed is patience. Shelldon, our green sea turtle, enjoys spending time toward the top of the exhibit. I need to be prepared for when he finally decides to go for a dive. 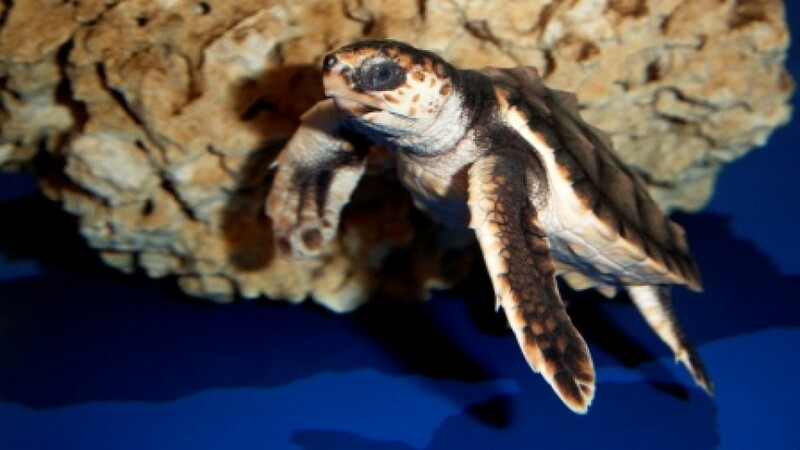 I could say the opposite for our juvenile loggerhead exhibit – my favorite images of the loggerheads are when they come to the surface for air, which as they grow older happens less frequently. 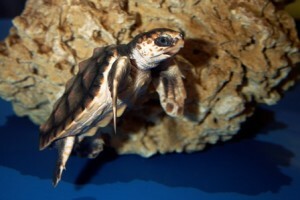 Because their exhibit is cylindrical (the acrylic is curved rather than flat), finding the right angle and getting the turtle in focus is difficult when it is underwater. 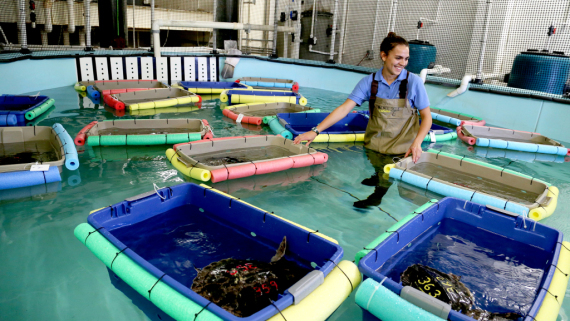 Do you have to do anything in particular to make sure the sea turtles aren’t being stressed? I try not to use a flash too often, which goes back to being prepared with camera settings. 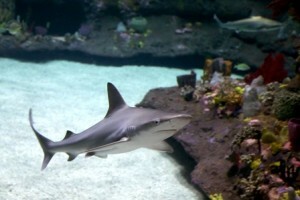 The Aquarium in general has very low lighting, so a flash helps but can stress the animals. A steady hand, high ISO (the camera’s sensitivity to light) and patience make for great images and stress-free animals. What are some tips you would recommend for students who would like to professionally photograph? Practice all the time! Always have your camera with you to photograph anything and everything. Photography is a skill and a craft that needs to be practiced frequently in order to stay creative. It is a trade where there is always something new to learn and gain, so be open to new ideas and equipment. 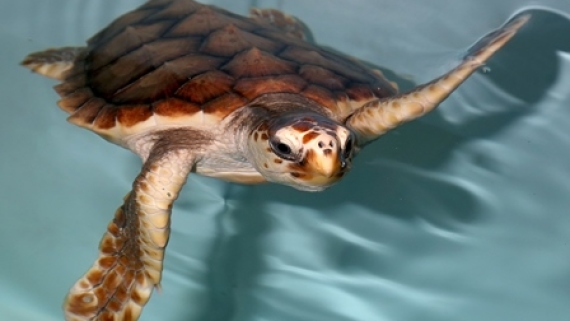 If you have adopted a sea turtle with us, you should have received an update of your hatchling this week. Lindsey takes all of our sea turtle photos we send out to our turtle parents. Our hatchlings are now 7 months old and continuing to grow! Turtle A weighs 785 grams and measures 16.9 cm long. Turtle B weighs 692 grams and is measuring 15.9 cm long. 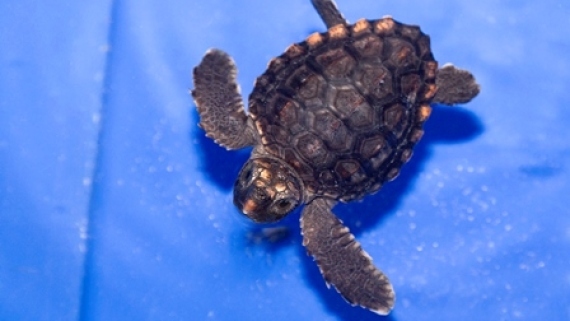 Check out our Hatchling to Yearling lesson plan for ideas on how to use this data.